A day after Gov. Michael J. Dunleavy announced a budget roadshow, Alaskans learned that the events were in fact hosted by the Koch Brother-funded conservative Americans for Prosperity-Alaska and require attendees to sign off on a load of conditions to even attend. Suffice it to say that pretty much none of it has gone over particularly well, especially considering that the governor left out any mention of the far-right group’s involvement in his initial announcement. Now, Senate Minority Leader Sen. Tom Begich, D-Anchorage, says the governor should cancel the events while another senator has offered to pay for one himself. The conditions for attending the meetings were met with alarm. The language on the sign-up for the events described the meetings as “a private, policy focused event dedicated to discussing Americans for Prosperity’s issues.” It also requires attendees to sign over their rights to be photographed and their images to be used for whatever purpose Americans for Prosperity sees fit. The registration for the events has since been moved from Americans for Prosperity’s website to Eventbrite, although the full disclaimer still exists there. It’s a set of requirements that didn’t sit well with Sen. Donny Olson, D-Golovin, who took to Facebook to warn constituents about the meeting on Tuesday. He echoed the concerns about the governor’s office being used to push a private agenda. “Using public resources to publicize a private agenda driven event all while requiring rural residents sign away their rights is completely uncalled for,” he wrote. It’s been such a source of concern for the senator that he posted today that he’s personally offered to pay for the rental of the space in Nome—as long as they agree to lift all the conditions for attending the meeting. As of now, the Dunleavy administration and Americans for Prosperity appear to be continuing with their plan for this road show, still requiring people to sign up for tickets ahead of time because of the limited space. 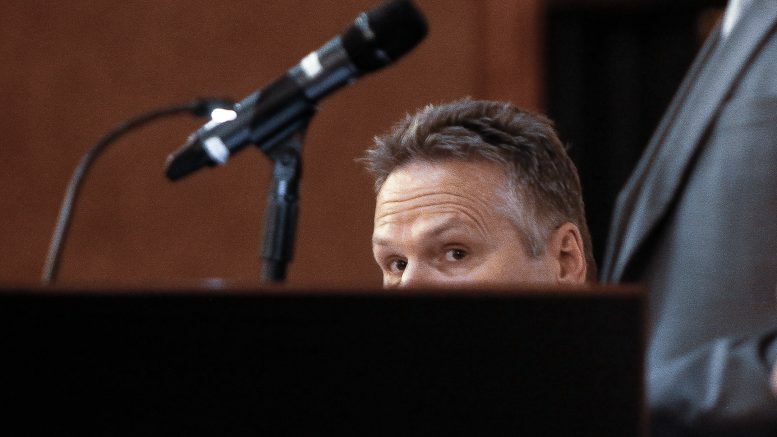 McKee explained the limited space to Anchorage Daily News reporter James Brooks as a matter of finances, explaining that the $10,000 fee to rent the Dena’ina Civic and Convention Center would have been the same as the entire series’ budget. It, too, is an argument that rings hollow. There are plenty of spaces available in Anchorage that would cost less and provide for larger audiences. The Anchorage School District, for example, has its high school auditoriums available for four-hour rentals at rates between $400 and $600. In Fairbanks, the West Valley High School auditorium is currently available during the hours they’ve set up for the event at the Westmark Hotel. There’s also legislative information offices, state offices, the University of Alaska’s facilities, libraries, senior centers, churches, rec centers and community centers. But perhaps the limited space is by design. “If people want to protest outside or want to shout support for certain things, they’re more than welcome to do that,” McKee told the ADN.